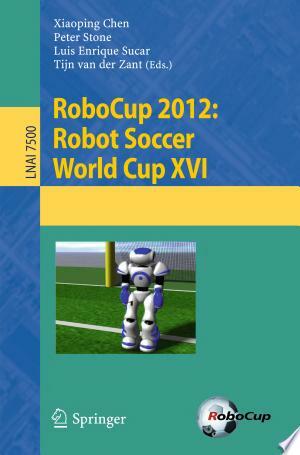 This book includes the thoroughly refereed post-conference proceedings of the 16th Annual RoboCup International Symposium, held in Mexico City, Mexico, in June 2012. The 24 revised papers presented together with nine champion team papers and one best paper award were carefully reviewed and selected from 64 submissions. The papers present current research and educational activities within the fields of Robotics and Artificial Intelligence with a special focus to robot hardware and software, perception and action, robotic cognition and learning, multi-robot systems, human-robot interaction, education and edutainment, and applications.